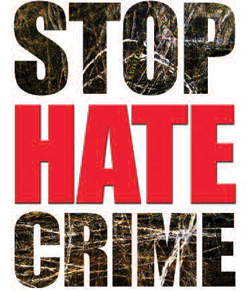 In October 2014, SPECTRUM, with support from Hampshire County Council, hosted the ‘Action on Hate Crime’ event bringing together all the community groups effected by Hate Crime as well as agencies who are in a position to help with tackling Hate Crime. More than 80 people attended the event with participants from LGBT and Transgender, Gypsy and Traveller, BAME and Disability groups, as well as representatives from the Police, Crown Prosecution Service and Eastleigh Community Safety Partnership and other statutory organisations. SPECTRUM have produced a report from the event summarising the discussions and participant’s recommendations on actions needed to tackle Hate Crime. We have also been lobbying statutory agencies to commit to implementing these recommendations. One of the main outcomes so far is the setting up of the Hampshire and Isle of Wight Hate Crime Action Group. This is a multi-agency action group hosted by the Police and Crime Commissioner, which was set up as a result of, and to action, the recommendations made by participants at the SPECTRUM Centre for Independent Living workshop held in October 2014. Based on combined data from the 2012/13 to 2014/15 CSEW, there were an estimated 222,000 hate crimes on average per year for the five monitored strands. The most commonly reported motivating factor in these hate crime incidents was race, with an average of 106,000 incidents a year according to the 2012/13 to 2014/15 surveys. The second most common motivating factor was disability (70,000 incidents per year). Hate crime victims were less likely to be satisfied by the police handling of the incident, 52 per cent being very or fairly satisfied compared with 73 per cent for crime overall.